This is the perfect activity on the go! On the train, plane, car or even at a doctor's office! 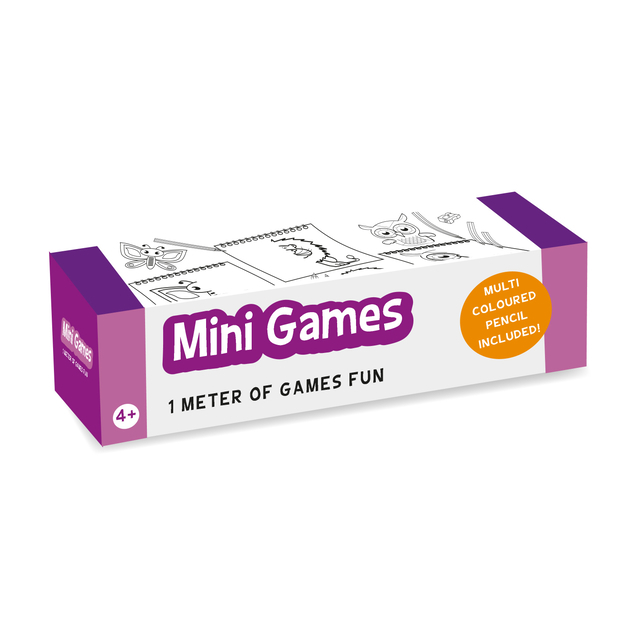 This small box contains 1 meter of gaming fun! Simply unroll as you draw. Finished the drawings, puzzles and games? simply re-roll and start colouring on the the other side. 1 3 ft. / 1 meter roll and a multi-coloured penci with interchangeable tip.